Hey there people. The posts are coming in erratically lately and I really hope I can get my act together with regards to updating more consistently soon. *_* Today's review have been a long time coming. 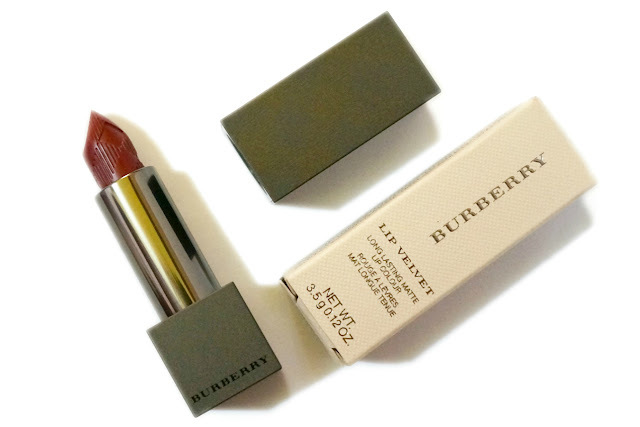 This Burberry lipstick has become one of my favorites so much so that I always carry this in my makeup kit almost always wherever I go. Apply directly from the tip to shape and define the lips and Cupid's bow. 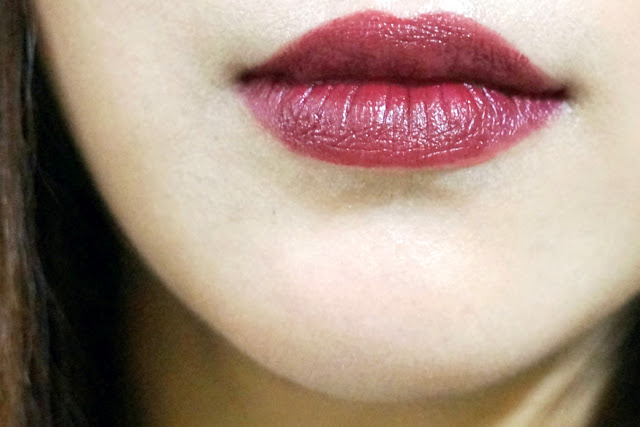 For a more casual effect, press color onto the lips with your fingertips, focusing the color at the center of the lips. First off, let me just briefly talk about how beautiful the packaging is. 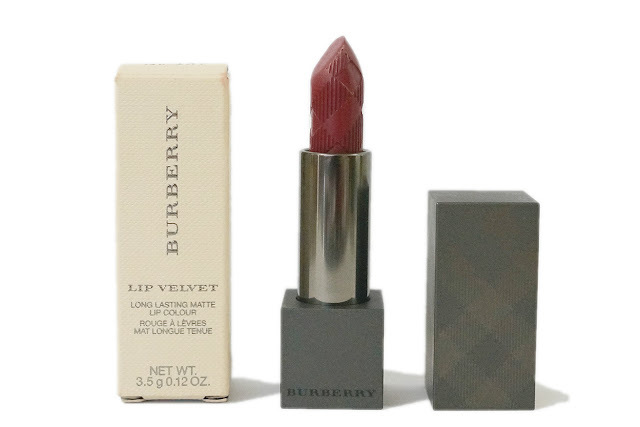 This lipstick comes in an angular matte tube with the embossed Burberry name and its signature check pattern. The tube is weighted and closes magnetically, although only in one orientation so you have to rotate the cap to hear that satisfying "click." 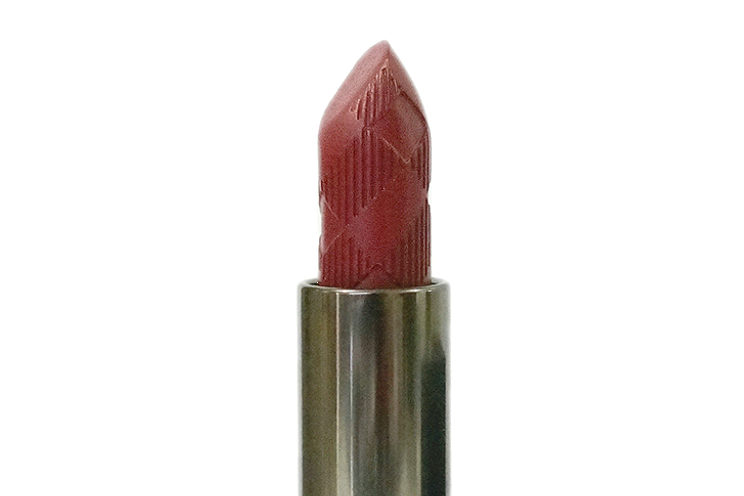 The lipstick itself is also embossed with the check pattern which is a great detail. 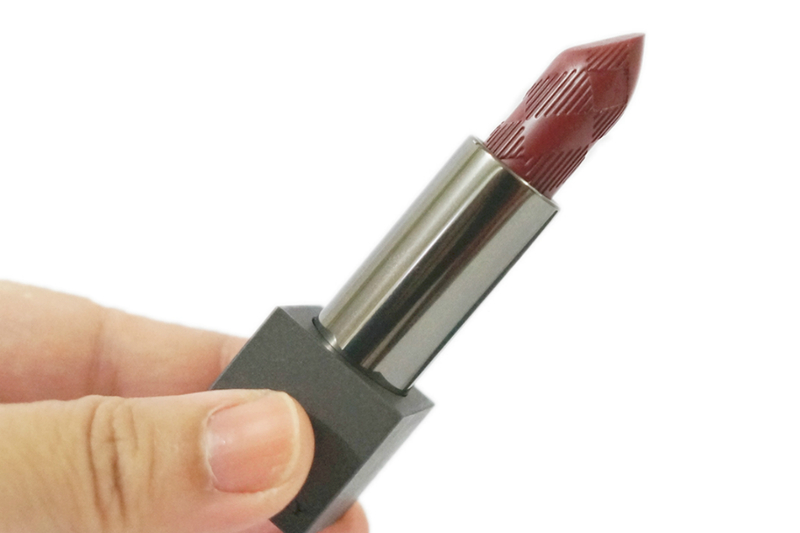 This lipstick definitely looks and feels luxurious. Oxblood No. 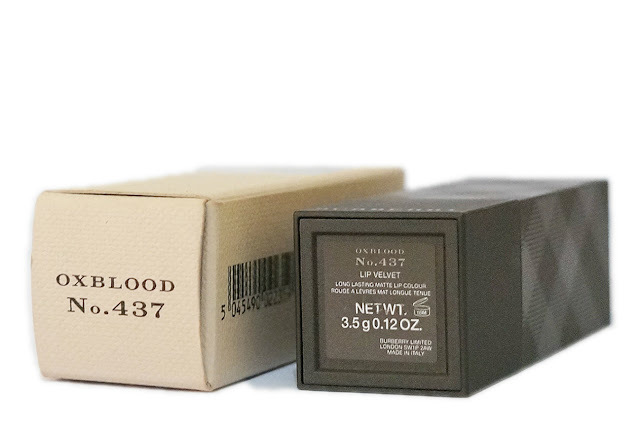 437 can be described as a medium-deep plummy burgundy with warm undertones and a semi-matte finish. 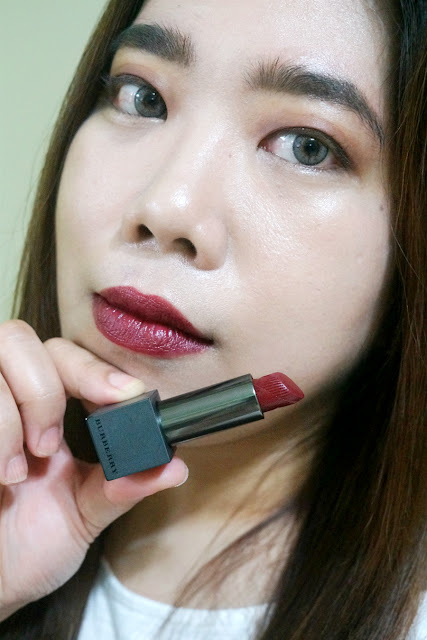 This almost-vampy shade was used on Burberry's 2016 S/S runway which is kind of unusual for a summer look, though deeper shades are still prevalent right now. Nevertheless, the color is unique and beautiful. 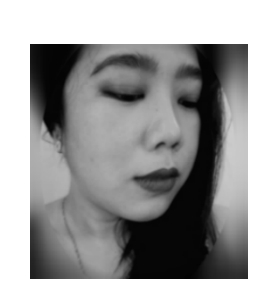 It very flattering against my skin tone as it has enough red in it that brighten up my face. I can get away wearing this casually during the day. Pigmentation is phenomenal. This has a slight luminosity that gives a semi-opaque coverage that can be built up to full coverage with two to three layers. 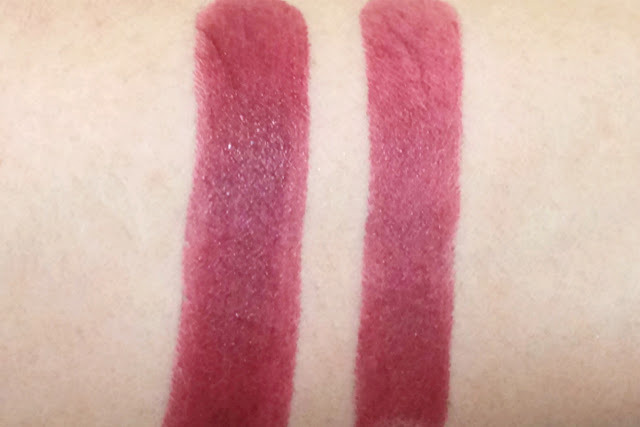 The color payoff is really top notch as even the tiniest pat of the product on the lips will yield good pigmentation. This lipstick feels very comfortable on. Despite the matte formula, this has enough slip that it glides effortlessly across my lips without tugging nor pulling. It has a creamier consistency (vs typical matte formula) yet still lightweight that I can barely feel the product on my lips. 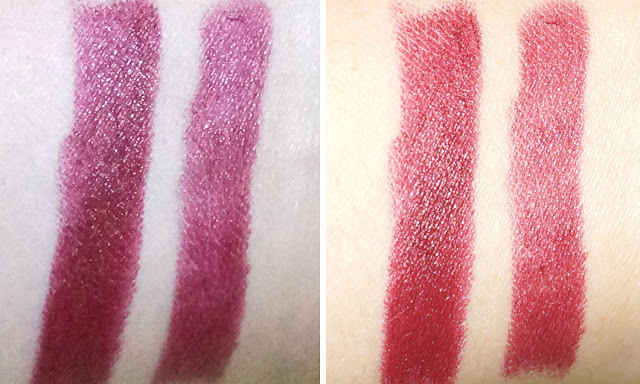 The color also stays put, doesn't feather and settle along my lip lines. Oxblood wore very well for up to six hours. 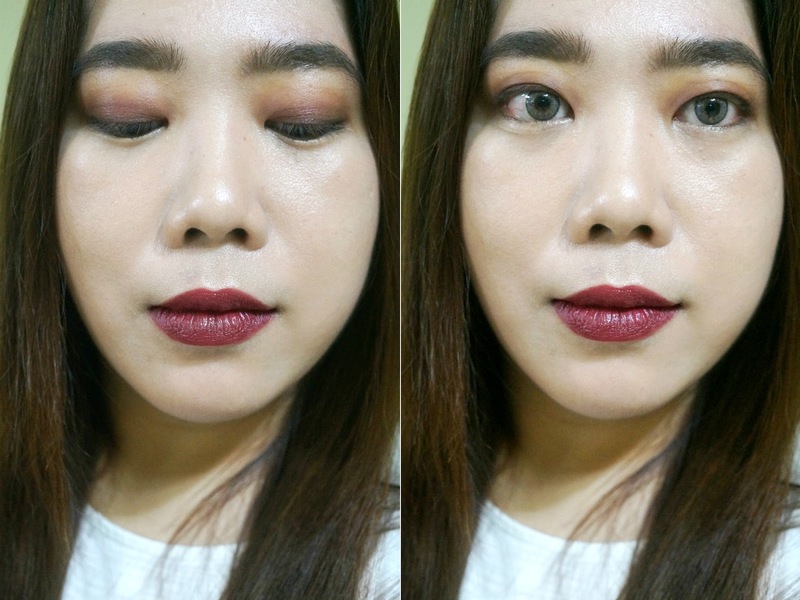 The color faded evenly during that time so even without reapplying, it still looked decent. Being a matte formula, you would expect this to be drying but it wasn't. Instead, this lipstick was hydrating and I didn't feel the need to apply a balm while I wore this. *This lipstick was featured in one of my LOTDs here: Bordeaux Makeup Look. Overall, this lipstick has been one of my favorites to wear for months now. It's very flattering and I can say that I have gotten several compliments every time I have this on. 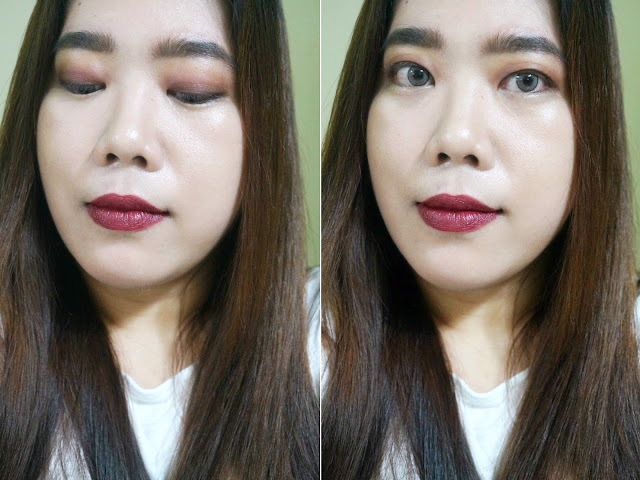 It's perfect for any occasion, and even on casual days with very minimal makeup. The $35 price tag is worth every centavo and considering the packaging and quality, I would gladly pay more.